Is there an elephant in the room. Acrylic on canvas. Illustrator and designer Louisa Gerryts has a diverse body of work that includes botanical and ornithological paintings and drawings, for which she finds inspiration in her own thriving indigenous garden. Her illustrated maps, and illustrations for educational and children’s books, use various styles but always retain her characteristic quirkiness. Louisa also creates digital collage imagery that evolved out of a lengthy creative process inspired by satellite images, her own drawings and paintings, manipulating and using these together with her own experiences and man’s relationship with nature and the world. Louisa holds a fine arts degree from the University of Stellenbosch. 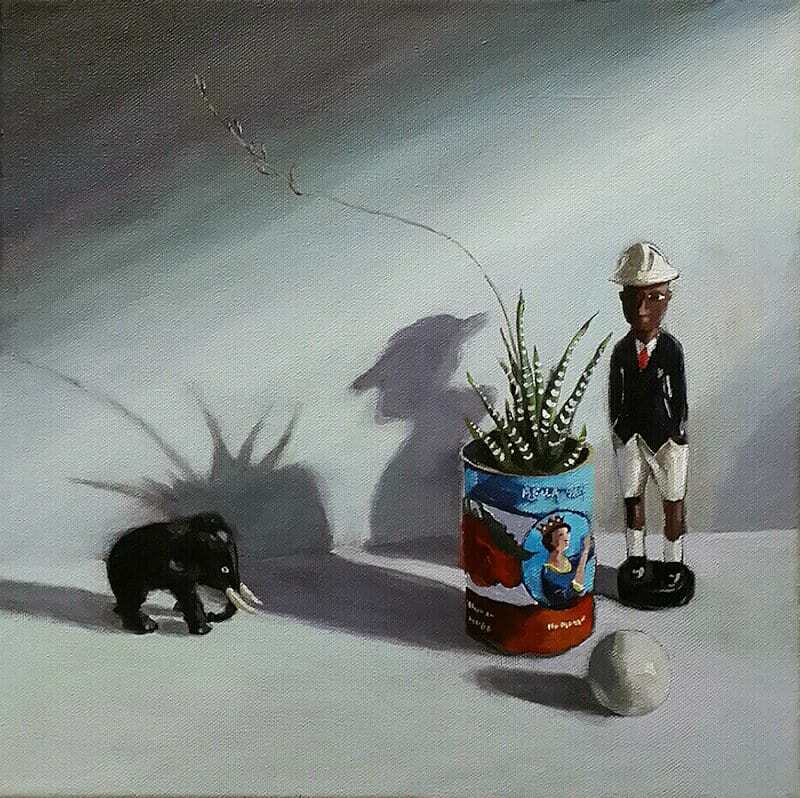 She has taught at the Hugo Naude Art Centre in Worcester, worked as a film editor, and lectured in the Department of Art and Design at the then Cape Technicon.